Widely considered to be the zenith of Guatemalan rum, Ron Zacapa does not have a long history, but in a short period has established itself as a premium rum of exceptional quality. They are known for their Solera system of aging and high-altitude warehouses, both of which contribute to its distinctive flavour. First founded in 1976 to honour the centenary of Zacapa, a town in Guatemala’s eastern reaches; indeed, the full name of the brand is Ron Zacapa Centenario. In keeping with this connection to the local area and traditions, bottles came wrapped in a petate- a hand woven lattice reflective of the region’s famous hatmaking (these days this petate features as a thick band across the centre of the bottle). Ron Zacapa is the result of tireless work by Alejandro Burgaleta, a doctor and chemist who was determined to to create a perfectly balanced, well-aged rum. Ron Zacapa is noted for using only the first pressing of the sugar cane juice, termed "virgin sugar cane honey" by the distillery. 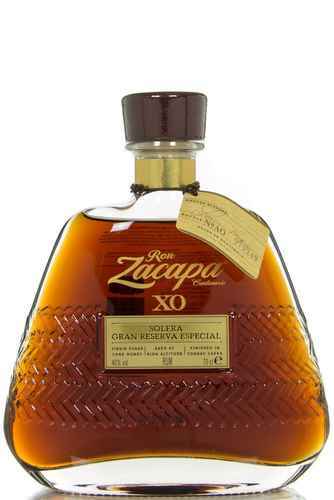 Ron Zacapa uses mixed cask maturation in a solera system. Four different barrel types are used in the maturation of this rum- vanilla rich bourbon barrels, dry and delicate sherry barrels, intensely sweet Pedro Ximenez casks and finally huge 20,000 litre fresh American oak casks. The distillery’s flagship bottle boasts a 23 year age statement on the label, though drinkers should be aware that this reflects the oldest rum used in the Solera blend, with the youngest being no less than 6 years old. 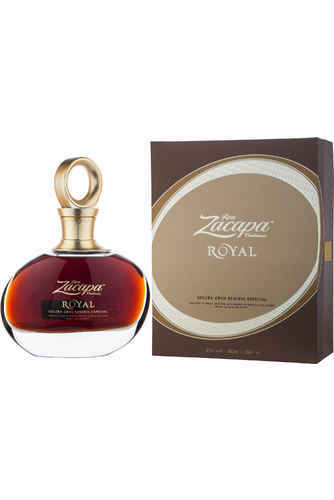 Ron Zacapa is aged at 2300 metres above sea level, in Guatemala’s mountains and volcanoes. Compared with other rums, Ron Zacapa’s average maturation temperature sits fairly low at about 17Co year round, allowing for a longer maturation process than most Central American and Caribbean rums. Despite its short history, Ron Zacapa is one of the most critically acclaimed spirits on the market today, winning an astonishing 5 consecutive first place awards in the Caribbean Rum Fest in their super-premium section, and was the first rum to gain admittance to the Festival’s Hall of Fame in 2003. In the same year, it also picked up an esteemed Platinum award. The Chicago Beverage Tasting Institute deemed to be the Best Spirit two years in a row in 2001 and 2002, whilst Wine and Spirit magazine gave it a whopping 98 out of 100 points, earning the grade "Outstanding". Drinkers should expect notes of fresh tropical fruits, dark chocolate, dried fruit, sweet toffee and overripe bananas. Truly a vital part of every rum drinker’s collection, and a great "malternative" for whisky drinkers who want to try something a little more exotic.